Series Blurb: Today, the Earth’s population exceeds 7 billion people. An ever-increasing number of those people are plugged into globalized technologies, patterns of consumption, and systems of commerce such that the ecological foundations of the planet are being pressured like never before. Our species’ collective impact, especially as it triggers climate change and the destruction of worldwide biodiversity, is stretching the world beyond ecological breaking points. Identifying the problems is not enough; we are in desperate need of humane and insightful guidance. This new series will feature authoritative voices ready to provide such guidance. No hand wringing or brow furrowing. The point is to provide a forum for leading experts to take their best shot at cutting a path through a particularly thorny thicket. Books in the series will explore and explain how particular expressions of environmental harm have come to be, what has been or is being done in response, and centrally, each monograph will chart pathways for future action. What will it take to move completely away from coal? What is needed to protect the oceans’ dying coral reefs? How can the world halt illegal logging? What does a sustainable food future look like? Is climate engineering a viable option to help alleviate the effects of near-term climate change? What will it take to prevent the poaching of endangered species? Though each book will be actions-oriented, the volumes will not be formulaic. The editors encourage intellectual creativity and invite authors to treat the books as extended essays rather than as academic treatises—to write with boldness and clarity in a voice that’s distinctly their own. Some books will provide comparative assessment of attempts to tackle common problems in different places; others will be rooted in historical or scientific analysis. Some books will have calls for action directed principally at policymakers, others at educators, or even at future generations who must deal with and respond to sets of problems that will be handed to them. Most books should speak to the public at large. All books will play to authors’ strong suits. Expressions of interest from authors should be directed to Sikina Jinnah (sjinnah@ucsc.edu) and Simon Nicholson (simon.nicholson@american.edu). Books will be 50-70,000 words in length and must be written in a style that makes them accessible and appealing to the non-specialist, while simultaneously delivering a clear and cogent normative argument. Proposal instructions can e found here. and here to read recent reviews. 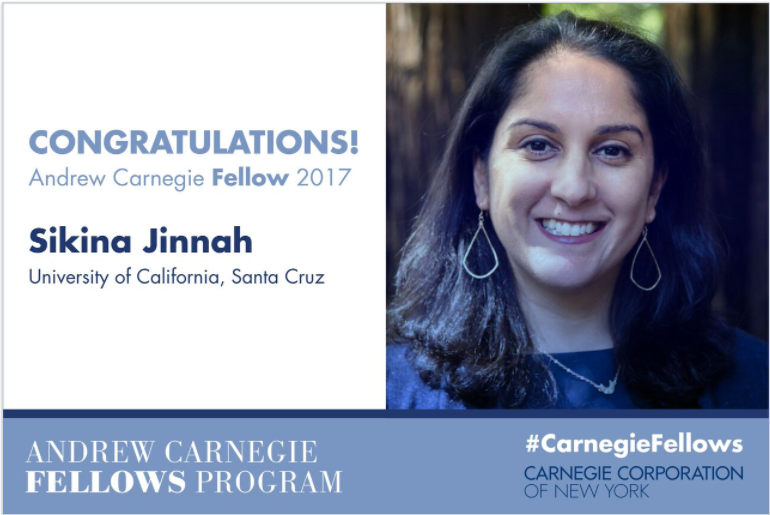 Dr. Sikina Jinnah is an Associate Professor of Politics at University of California at Santa Cruz. She is also an 2017 Andrew Carnegie Fellow, and an affiliated faculty member at American University's School of International Service and at UCSC's Department of Environmental Studies. 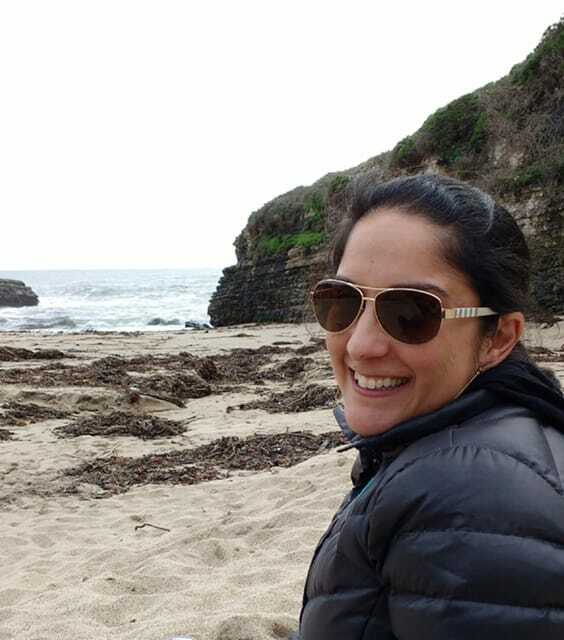 Her research focuses on the shifting locations of power and influence in global environmental governance, and in particular the role of transnational actors in environmental decision-making. Her most recent projects examine how key norms in global climate politics shape power relations, the role of U.S. preferential trade agreements in shaping environmental policy in trading partner nations, and the politics of climate engineering governance. Her first book ("Post-treaty Politics: Secretariat Influence in Global Environmental Governance," MIT Press 2014) received the 2016 Harold and Margaret Sprout Award for best book in international environmental affairs from the International Studies Association. The book examines the role of international bureaucracies in managing the politics of overlapping international regimes in the areas of biodiversity, climate change and international trade. Her second book (with Simon Nicholson), "New Earth Politics: Essays from the Anthropocene" (MIT Press 2016) engages leading scholars in a discussion over the role of global environmental politics in the age of the Anthropocene. Her forthcoming book, "Greening through Trade" (MIT 2020) examines the role of US preferential trade agreements in influencing environmental politics abroad. Dr. Jinnah's research has also been published in several scholarly journals, including: Global Environmental Politics, Global Governance, International Studies Review, Environmental Politics, the Journal of Environment and Development, Environmental Research Letters, Berkeley Journal of International Law Publicist, Climate Policy, Georgetown International Environmental Law Review, and Science. Jinnah currently serves on the editorial board for the journal Global Environmental Politics, is co-editor of Environmental Politics, is a Senior Research Fellow with the Earth System Governance project, and sits on the Board of Advisors of the Forum for Climate Engineering Assessment's (FCEA). Jinnah also co-edits an MIT Press book series (with Simon Nicholson), called One Planet. Prior to coming to UCSC Jinnah was an Assistant and Associate Professor of International Relations at American University's School of International Service. She held a Postdoctoral Fellowship at Brown University’s Watson Institute for International Studies and was also a consultant for the International Institute for Sustainable Development (IISD), where she reported on CITES and UNFCCC processes for IISD's Earth Negotiations Bulletin. Jinnah, Sikina. 2018. "Why Govern Climate Engineering? : Towards a Framework for Demand-Based Governance" International Studies Review. 20(2): 272-282. Morin, Jean-Frédéric and Jinnah, Sikina. 2018. “The Untapped Potential of Preferential Trade Agreements for Climate Governance” Environmental Politics. 27(3): 541-565. Jinnah, Sikina and Douglas Bushey. 2017. “Bringing Politics into SAI.” Journal of Ethics in International Affairs. 31(4):1-5. Jinnah, Sikina. 2017. “Makers, Takers, Shakers, Shapers: Emerging Economies and Normative Engagement in Climate Governance” Global Governance. 23(2):285-306. Jinnah, Sikina. 2019. “The Swiss UNEA geoengineering proposal: What could they do differently next time?” Solar Geoengineering Research Blog. Harvard Solar Geoenginering Research Program. Harvard University. Chhetri, Netra, Dan Chong, Ken Conca, Alexander Gillespie, Richard Falk, Aarti Gupta, Sikina Jinnah, Prakash Kashwan, Myanna Lahsen, Andrew Light, Catriona McKinnon, Leslie Paul Thiele, Walter Valdivia, and Paul Wapner. 2018. Governing Solar Radiation Management. Washington, DC: Forum for Climate Engineering Assessment, American University.